Get your $1 Super Fruit Smoothie at Jamba Juice today! 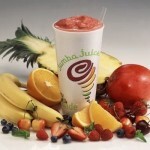 You are here: Home / Get your $1 Super Fruit Smoothie at Jamba Juice today! 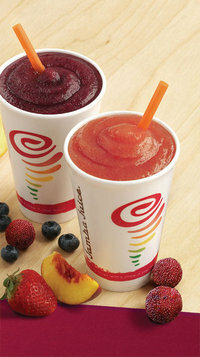 Today (6/16) only, get a $1 Super Fruit Smoothie at Jamba Juice (16 ounce size)! 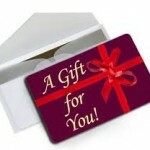 Choose from flavors such as Yumberry, Acai, and Pomegranate. While you’re there, you can also get Steel Cut Oatmeal for only $2 (it’s their Wednesday special). This was listed on their Facebook page and is also listed on their main web page, but you still may want to check with your location to make sure they are participating. Jamba Juice: Cheap frozen smoothies! FREE Jamba Juice drinks for kids today! Jamba Juice: 16 ounce smoothie for just $2!